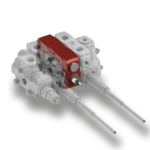 WALVOIL SXP, the innovative directional valve for front loaders and other lifting applications. The main feature of new SXP valve is the possibility to switch autonomously from Series Circuit to Parallel Circuit whenever the working conditions make it necessary and convenient. The patented system stands out for its ease of use and above all it guarantees a significant increase in productivity. 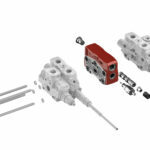 Pic.1 – The main feature of new SXP valve is the possibility to switch autonomously from Series Circuit to Parallel Circuit whenever the working conditions make it necessary and convenient. Pic.2 – An exploded view of Walvoil SXP innovative directional valve. Walvoil, world leader manufacturer of directional valves for front loaders market since long time, in its range has many specific products based on the two traditional technologies. The long experience in this application sector has led to a deep knowledge of the benefits and weaknesses of such circuit architectures. With the new SXP system, Walvoil provides for a decisive answer, which combines the positive features of both systems and solves the main critical issues. The innovation is achieved with a simple device, which can be inserted into valves already existing in the Walvoil catalog (see Pic. 1), or included in a dedicated customization for the customer’s application. The system consists of a “logic element” and a sequence valve, positioned between the boom section and the bucket section. Picture 2 shows an exploded view of the system presented and Pic. 3 shows a simplified hydraulic diagram of the SXP system. Picture 4 shows instead a typical circuit for front loader equipped with SXP system. Pic.3 – A simplified hydraulic diagram of the SXP system. Pic. 4 – A typical circuit for front loader equipped with SXP system. Analyzing the operation of this system: the logic element in normal position connects the return of the S Arm (ie series) with the supply of the Bucket, called P1. At the same time the P pressure channel (ie parallel) is closed, as well as the tank connection through the T-port. In this status, the valve works as a normal series circuit. When the pressure on the P channel reaches the calibration value of the VS valve (for example when a function is reaching its stroke end), the logic element switches to the second working position, connecting S channel to tank and the simultaneous opening of the P parallel channel. In this configuration the valve works as a typical parallel circuit. Pic. 5 – In traditional Series circuits, during the simultaneous operation of two functions (typically arm lifting and bucket movement), if the cylinders of a function reach their stroke end, also the cylinders of the other function stop, creating an obvious discomfort to the operator. Thanks to the sequence valve, there is no unwanted switching between the two working positions: in fact, to bring the logic element back to its neutral position (and thus to the series circuit function), the pressure needs to fall below a certain value pre-set on the sequence valve spring. 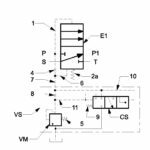 The system aims to solve real problems in the hydraulic circuits of loading and lifting machines. In traditional Series circuits, during the simultaneous operation of two functions (typically arm lifting and bucket movement), if the cylinders of a function reach their stroke end, also the cylinders of the other function stop, creating an obvious discomfort to the operator. This is one of the main problems afflicting these circuits, in addition to the pressure summation of the two functions, which limits the maximum load capacity. (pic. 5). Viceversa, a parallel configuration does not guarantee a predictable distribution of oil flow and makes the simultaneous movements (pic. 6) hard, if not impossible (pic. 6). Pic. 6 – A parallel configuration does not guarantee a predictable distribution of oil flow and makes the simultaneous movements (pic. 6) hard, if not impossible. In the first phase the oil is taken from the arm return and both cylinders can be quickly moved. Pic. 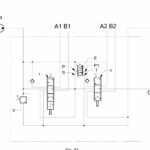 7 – The Walvoil SXP system allows to work in Series configuration until a pressure level is reached to signal that the load lifting limits have been achieved. Above all, the increase in productivity of the front loader makes Walvoil SXP’s innovation worthwhile. Thanks to the skillful use of the Series circuit, that makes the most out of the pump flow, bench tests and functional field tests in collaboration with international OEMs have shown a reduction up to 20% of the loading and unloading cycle times compared to a traditional parallel circuit. The higher productivity per time unit and the absence of typical parallel circuit dissipations, also imply considerable energy savings of the machine. 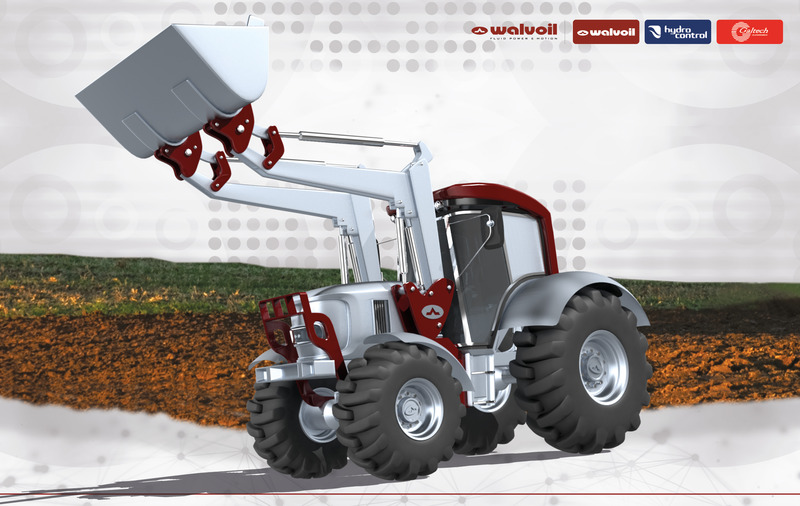 The comfort of the operator is also considerably improved: the simultaneous operation of bucket movement and arm lifting is achieved without difficulty, the movement of the front loader continues smoothly and without alterations. The patented and successfully tested concept, which was awarded the EIMA 2018 Technical Innovation award, will soon be implemented on customized products for the main OEMs.